Chicago is among the world’s most well-known cities, and with good reason. Throughout its nearly 200-year history, Chicago has developed into an extraordinary cultural oasis; many architects, musicians, and performing artists honed their talents right here in the “Windy City.” Additionally, Chicago is prime location for restaurateurs and aspiring chefs alike. Any local, visitor, or even just an interested party knows how significant the culinary scene is in Chicago. In fact, the city often hosts special events that entice people from all over country—and the world—to sample the best food the city has to offer. Each year in July, over 1 Million people attend our city’s premier event, The Taste of Chicago; another notable event is the Chicago Food + Wine Festival, which recently took place from Aug. 28 to 30 in the Lincoln Park area. 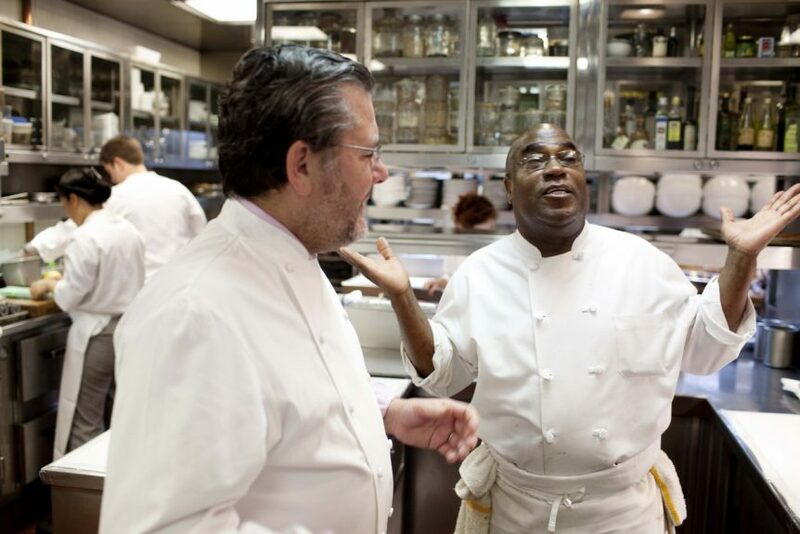 Hosted by Food & Wine Magazine and Iron Chef Champion Tim Love, this festival is a series of interactive tasting sessions and culinary presentations that showcase the city’s distinctive flavors and cooking styles. The inaugural three-day event featured 40 local chefs, which included: Top Chef Chicago winner Stephanie Izard (Girl and the Goat, Little Goat); Paul Virant (Perennial Virant, Vie); Jimmy Bannos Jr. (Purple Pig); Matthias Merges (Yusho, A10); and many others. Fox Valley Fire & Safety provides ANSUL kitchen hood fire suppression system service to many of this year’s participants and other top restaurants in the Chicagoland area. We understand the importance of protecting any cooking environment and have the expertise to comply with NFPA and local codes and regulations. 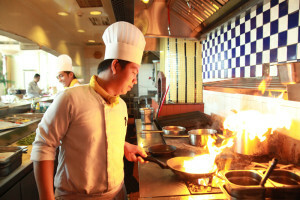 According to the U.S. Fire Administration, about 6,000 restaurant fires occur in the country each year. Moreover, these fires result in tens of thousands of dollars in property damage and personal injury claims. With over 55 years of experience, the Fox Valley Fire & Safety team is well-equipped to safeguard restaurants. Our products and services can protect your investment, as well as your clientele—consider us your first line of defense. Fox Valley technicians can install a brand new ANSUL Restaurant Fire Suppression System for your establishment. 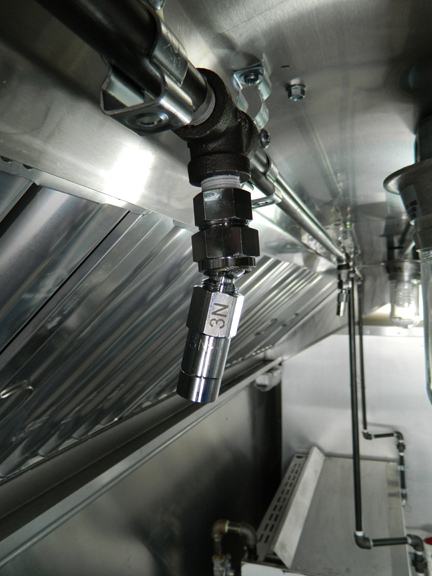 This system is designed to provide protection to ventilation and grease extraction equipment and appliances; ANSUL systems are ideal for any type of commercial kitchen, and are customized to suit your particular kitchen configuration. Restaurant fires can occur at any time, which is why our team offers 24-hour emergency services for all of our customers’ fire-protection needs. The Food + Wine Festival was a huge success—both in regards to spreading awareness of innovative recipes and keeping patrons safe. For more information about fire safety in restaurants, don’t hesitate to contact Fox Valley Fire & Safety today.